8.30 AM – Get registered and grab snorkelling equipment. Depart from Semporna Dragon Inn Jetty to Tatagan. A short visit to Tatagan for take photo of the sea gypsies. 5.00 PM– Transfer back to Semporna. 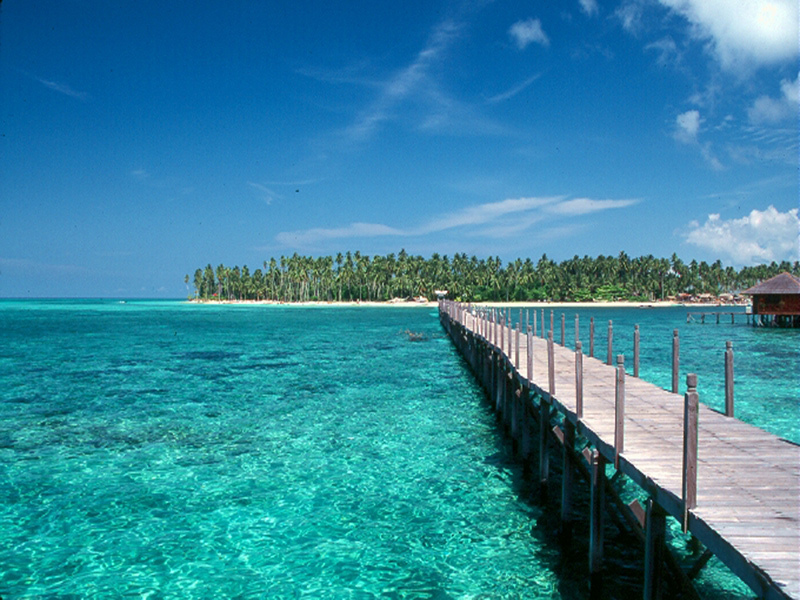 Mantabuan Island is the smallest island in Tun Sakaran Marine Park, with an area of about 10 hectares or 0.1km². It is located just 2km from the northern coasts of beautiful Bohey Dulang and mysterious Bodgaya, the biggest island in the marine park. Mantabuan Island is inhabited by a small, friendly community of Sea Gypsies (Bajau Laut), who live in houseboats called lepa-lepa or stilt houses built over coral reefs. It is not uncommon for visitors to be invited into their homes for a fresh coconut or two. The Malaysian army operates a military base on the island and if you’re lucky enough, you may get the chance to snap a photo inside the army outpost, complete with artillery and sandbags. There are no bicycles, cars, or fancy commercial developments and visitors to the island are far and few in between. Sibuan Island is said to be one of the most beautiful islands in the Celebes Sea. It is part of the Tun Sakaran Marine Park. There are no resorts on the islands, and also no public facilities. A few sea gypsies live on the island; unfortunately clearly noticeable by the rubble they often leave behind on the island. Fortunately diving schools in the area organize occasional reef and beach cleanup sessions. Don’t forget to bring enough sunscreen, water and snacks with you when you visit the island. Sibuan is especially great for swimming, scuba diving, snorkeling and sun bathing. Tatagan Island is one of the islands in Tun Sakaran Marine Park which is occupied by the sea gypsies. The Sea Gypsies or the “Bajau Laut” is made of Sabah’s ethnic group originated from the Philippines and Indonesia. They have been living a seaborne lifestyle, living near to the sea shore by erecting houses on stilts and travelling in lepa-lepa,a handmade boat. Many of them work as fishermen. They also made boats and some of them were excellent divers. Rumor has it that they can even breathe under water for up to five minutes. 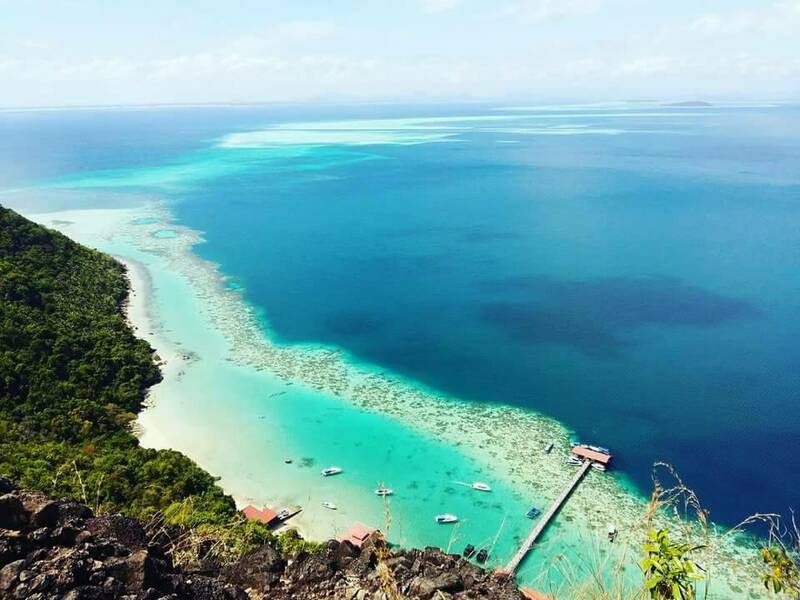 Bohey Dulang Island is remnants of an extinct volcano. The crater is now flooded with seawater to form a large lagoon.